Going green doesn't mean we have to give up classic American traditions like Monster Truck rallies. 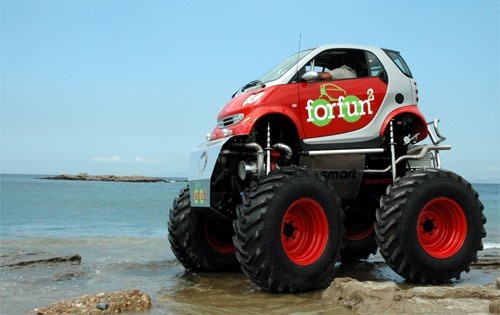 This cute little Smart car was converted into a Monster Truck by Greek rally champ, Stefan Attart. 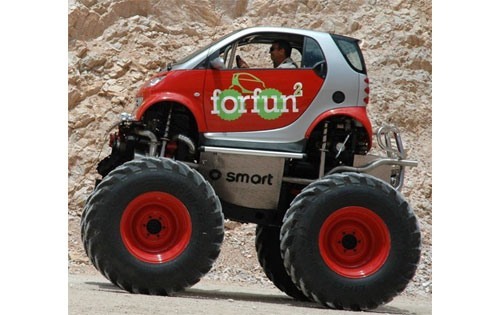 "The head-turning Smart combines the body shell of the existing Fortwo with the industrial-grade four-wheel-drive underpinnings of parent company Mercedes-Benz's Unimog 406. The result? 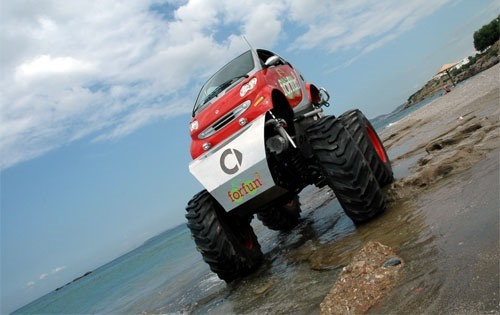 A towering two-seat monster truck dubbed the Forfun2. 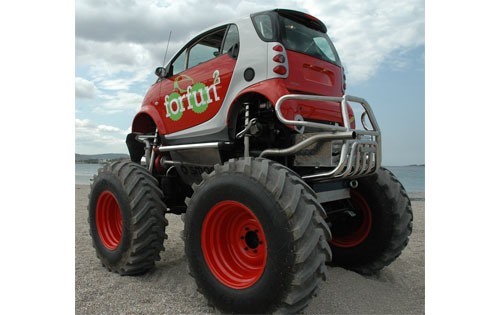 With a height of 145.6 inches, the Forfun2 towers over its road-going sibling by a whopping 84.6 inches. Power comes from an inline six-cylinder diesel engine. To optimize its off-road ability, the suspension can be manually raised and lowered via air springs." Video & images below the fold.